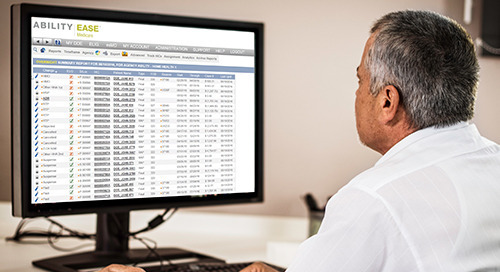 Learn how SNF Medicare cash flow forecasting software can help you solve some of the reporting challenges you’re facing at your skilled nursing facility. CFOs and administrators at skilled nursing facilities need access to financial projections that many billers just don’t have the time to gather. Watch this webinar to see how our service can automate many reporting processes and provide the reports you need for your SNF. Sarah: Hello everyone and welcome to our webinar, "How Technology Can Help Improve Reporting Challenges at Skilled Nursing Facilities." After we do some brief introductions today, we're going to dive right into talking about the common reporting challenges we hear about from skilled nursing facility CFOs, and how we can help you overcome them. We'll also be sharing some comments from CFOs along the way. To get started with the introductions, my name is Sarah Klaphake and I'm your webinar host. I'm joined by Mike Walpole, our featured presenter, and we're both members of the growing team here at ABILITY Network. 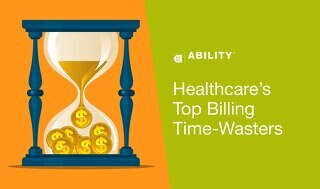 ABILITY is a leading healthcare technology company trusted by more than 100,000 providers across the continuum of care in ambulatory, acute and post-acute settings, including thousands of skilled nursing facilities. ABILITY provides a broad suite of innovative workflow services to help manage the administrative and clinical complexities of healthcare. Today, we'll be focusing on our services that help manage the reporting challenges that you face. In a minute here, Mike will be showing you some great ways technology can help solve some of those reporting challenges. Mike, before you dive in, could you take a minute to tell the group about yourself. Mike: Sure Sarah, I started working here at ABILITY in 2008. 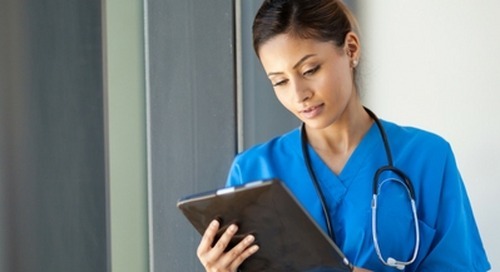 I'm currently one of the sales directors here and I've spent the last 10 years working directly with healthcare providers, focused on identifying areas where technology can assist in improving a provider’s revenue cycle. 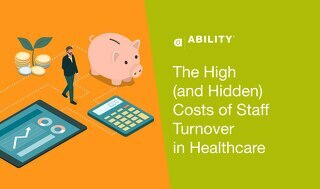 I have a background in healthcare administration and before I started working here at ABILITY, I worked with a couple of other health IT companies that were also focused on EDI and revenue cycle optimization. Sarah: Perfect, thanks Mike. Mike and I both do a lot of work to really try to understand the challenges that our customers are facing. One of the things that we did recently was a survey. We asked SNFs CFOs what challenges they're facing at their facilities and here is some of what your peers told us related to reporting. They told us that there's a lack of accurate revenue management and reporting at their facility and that's really a challenge to them. They also talked to us about the challenges in getting reimbursement cash flow projection information for Medicare claims. We spent some time talking with some CFOs after we got those survey results back and one of them was Terry Nix. He's a CFO at the Washington Odd Fellows Home. He told us more about the challenges his facility faces in obtaining reimbursement cash flow projection reports. Terry: Honestly, the way it works right now is when my Medicare biller is here and she has a fairly large claim that's ready to pay, she'll let me know. They're so busy otherwise and that's not necessarily their focus. Their focus is on especially from the biller's standpoint working claims, looking at those claims that have been denied or returned and fixing those. Sarah: He also shared with us some of the higher level challenges he's facing. Terry: In our situation, we're a non-profit facility and revenue's an issue, always. We've got, I'm sure just like any other business, we've got payroll to meet and all the other bills that go along with running a skilled nursing facility so cash flow is important for us. We don't have a huge pile of cash sitting on our balance sheet and so, we need to manage that cash flow. Sarah: We spoke about the challenges in obtaining private pay dollars from patients, making it even more important than ever to capture all Medicare dollars his SNFs is billing. Terry: I just have less and less money to rely on, less and less savings to rely on, so making sure that we're doing everything we can to get the payers that are out there to pay their share. Sarah: It's clear that getting the right reporting information is crucial to CFOs like Terry. Terry: Projected cash flow from Medicare claims, I mean, I would just be so happy to have that. Anytime from a CFO standpoint, when you can have a little transparency or predictability about cash flow is a good thing. Otherwise, you tend to be ... You're relying on your employees to report to you or tell you and it's not at your fingertips. When things are going good and census is where it should be at our budget projections then I don't worry as much, but obviously when the census is down, then I start checking those things more closely and watching more closely. Sarah: Mike, what are your thoughts on what you've heard from Terry and the results of our survey? Mike: Well, it's certainly not a surprise to hear that as a CFO, he's very concerned about cash flow and I think the areas that Terry highlighted are definitely some of the common concerns that we hear a lot about from our customers. 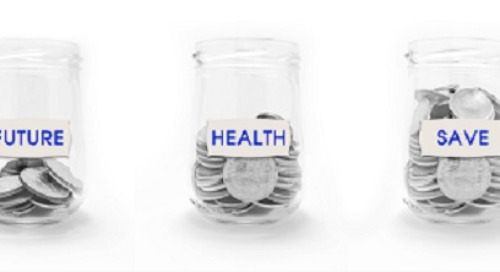 I think the other thing is as CMS continues to work on reducing spending and as we see reimbursement rates drop, we've also seen many more people voice these concerns about wanting to have better visibility into some of these key data points that can really help them run their business more efficiently. Sarah: Mike, what are some of the reasons information like cash flow projections is so hard to obtain? Mike: Well, Sarah, you know the DDE system itself causes a lot of these challenges just with the fact that it is this legacy main frame application, that Medicare's had out there for many, many years. It's just not easy to pull information out of there and put it into a usable report. We've been providing access to this system for over 10 years now and it's one of those phone calls we received a lot from the customers we had who used us to connect this system was, is there an easier way to get the information out of the system? Because they have to spend so much time manually tabulating things like cash flow by looking at individual claims and then putting those into a spreadsheet so they can have a report to present to the CFO. It just takes a ton of time. We did some research on it and tried to find out, is CMS planning on making updates to the system and what we realized was that they didn't have any plans to make changes in the near future. What we wanted to do was figure out, is there a way for us to build some technology that can help with that. We sent out our software developers and our product managers and had them really sit down with Medicare billers and observe how they interacted with the system, some of the challenges they were experiencing on a day to day basis. That's really the research that helped us to build our ABILITY | EASE service. 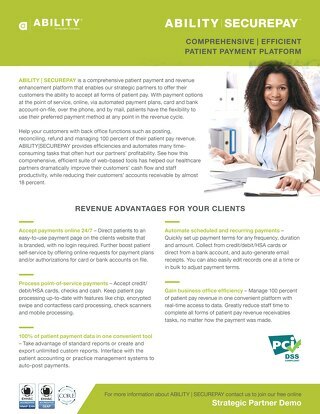 The way that EASE works is typically very, very early in the morning, the system will log into that Medicare DDE system using the biller's existing user ID and password and pull all of the information that's available for your particular facility or for your multiple facilities if you have more than one NPI. What it's going to do is take all of that information and populate all of that data into a much more user-friendly interface. In addition to getting that information, we also disseminate that information through a couple of automated emails that you would receive each and every day. The first one of those would be a daily summary email. What this contains is a list of everything that's changed for your agency or your facility from yesterday to today. You can't see any patient specific information, but from a CFO or administrator level, you can get a very quick report highlighting any of the issues that might have popped up including things like ADRs or claims that were simply rejected on returned to the provider. In addition to that report giving you the summary information, we'll also provide a daily EFT report. What this is going to show is the actual dollar amount that you received from Medicare today and what you can expect to receive from Medicare tomorrow. A lot of the CFOs have said one of the first things I have my biller do when they come in the morning is look up this information and email it to me. We tried to take one more of those tasks off the biller's plate and automated that process so that when you log in, you can immediately see, “Here's what I have in the bank today, and here's what I can expect to receive from Medicare tomorrow.” When we actually log into the EASE application itself, we can see that that Overnight Summary Report is the first place that we'll log into. Here, we're seeing the detail behind that email that highlighted everything that's changed from yesterday to today. Now, we can actually see any of the patients or residents that had a claim that had a change in status. This area is really where the billers will spend most of their time, because they'll be looking at each one of these issues and drilling in for more detail and taking the appropriate action to correct any of those issues and actually have those claims get paid. For today's webinar, we really want to focus more on some of the reports that a CFO or maybe even administrator might want to look at and highlight how easily you can access that information without having to learn how to navigate through all those black and green screens, or make your biller go through that tedious process of tabulating all that information. The first report that we're going to talk about is the Unpaid Claims Report. This is where a lot of the finance folks and even the billers tend to gravitate towards because what this allows you to see is all of the unpaid claims that are sitting out there, and also highlights which status those claims are in. What most of the billers are working of off is an accounts receivable aging report, where they know that the services have been provided, the claim’s been submitted to Medicare, but it has not yet come back or been paid. The piece of information that's missing on that report is typically the status of the claim. That's where we can provide that data into a user-friendly report, and give you access to be able to figure out, where are your Medicare dollars and what are some of the areas you can focus on in order to increase or speed up the reimbursement of those claims? The nice thing about this unpaid claims report is there's a lot of flexibility on how you want to organize the information, so if you wanted to look at it oldest to newest, you can just click on the number of days column and sort it that way. If you want to look at high dollar claims, you can sort it based on the charged amount of the claim, and get an idea on if you want to have the biller work it high dollar down. Again, there's a ton of flexibility here. The other thing that's nice with all of the reports within EASE is that you can export them. If you wanted to take this information, put it into an Excel spreadsheet and do some further analysis that way, it's a very simple process to just click on export and then save this report to Excel. Now, the next report is another one that is definitely geared towards the finance folks because it is the Payment Summary Report. We're going to send the email every day that's going to highlight what you're getting paid today and what you can expect to get paid tomorrow. We took it one step further based on feedback from our customers that it would really be helpful to understand, what can I expect to receive? 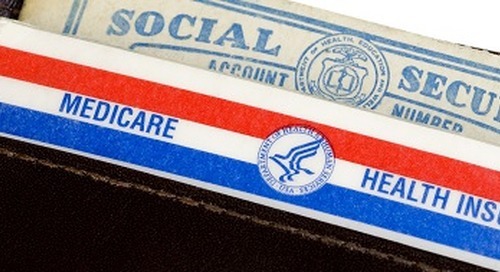 What this report provides is a projected forecast of that incoming cash from Medicare. What we're looking at is the claims that are in a paid status in the Medicare system, but have a paid date in the future. Now, with the click of a button, you can see this information and you don't have to have the biller go out and manually tabulate the information into a spreadsheet that they have to update every single day. This has been one of those big reports that a lot of people have been excited about and have found to be really helpful in making business decisions and knowing how much cash they have coming in on a daily basis. If you're part of a group that has more than one facility, this is one of the reports that we can actually provide an enterprise report that would show you across multiple NPIs that same information. If you wanted to see the cash flow report for all four of your facilities on one spreadsheet, it's a very simple process to do that through this high level Payment Summary Report. The last thing I want to touch on in regards to reporting is the ability to create your own custom searches or custom reports. The nice thing is it's very easy to log in here and figure out what other types of claims I'm looking for, if I want to understand how many claims do I have out there that are in the denied status for my skilled nursing facility. I can very quickly build a report, click search and identify here's the three claims that are out there in the denied status. I didn't have to learn how to use the page up, page down, F7 key stroke navigation to get to that information. I can very easily put in the criteria that I want and very quickly have my hands on some very valuable data, in order to figure out if there's things that I can help guide my biller to focus on in order to bring in more reimbursement for our facility. There are just a ton of additional capabilities that are built into EASE, so we're not going to cover all of those today. We just highlighted a few of the reports that a lot of the financial folks see value in and use on a daily basis. For the end-users and the billers who are responsible for working the claims, there are a lot more capabilities that EASE provides around not only identifying the claim status changes, but also helping to simplify the correction process, and really just make their life easier and free them up to focus on other tasks that they're responsible for. If you or anyone from your facility would be interested in learning more about those additional capabilities, there are other webinars available to watch in our resource center. As we've seen, EASE is a pretty powerful reporting tool and one of the things that people considering it are sometimes concerned about is that they might be part of a smaller organization that doesn't have a lot of IT resources. The nice thing is with the way EASE was designed, it is a software as a service application, so you would just access it through a browser. You don't have to worry about purchasing hardware or going through any sort of capital budget process in order to buy that hardware. It's all very simple and we have a customer support department available to help with the configuration and setup as well. Sarah: Yeah, perfect. 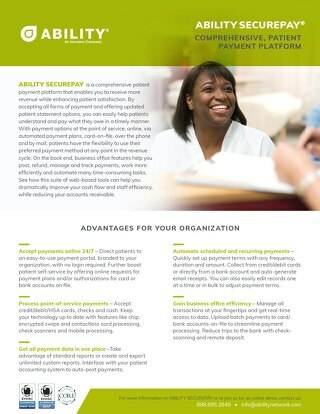 Once you're connected with the ABILITY Network online, we actually use our transformational healthcare platform to provide you that secure, reliable connectivity that you need with care delivery partners, including the nation's largest healthcare payer, CMS Medicare. ABILITY actually processes more secure Internet transactions with CMS than any other company, and we're very well connected to all 15 MACs. We are a CMS approved network service vendor and we are EHNAC accredited and CORE certified. 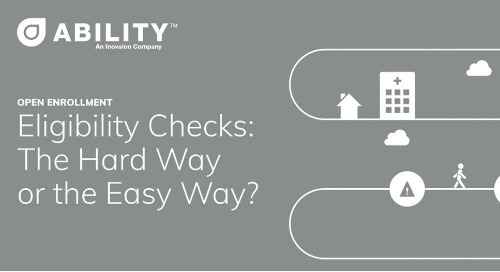 Those accreditations speak to our security model, our consistent reliable up times and services for EDI transactions. After learning more about EASE and thinking about the process billers currently have to go through to manually obtain that type of information that EASE provides, a lot of CFOs including Terry are excited about how EASE could help at their facility. Terry: I can really see the advantage of what you folks have done with EASE and just kind of building that interface and essentially building a program that will read the CMS program that's old and outdated. Sarah: Well, we hope you were able to learn a few things today including some ideas for how to make your reporting process more efficient, while obtaining accurate and timely information. Most people do have questions after starting to learn more about the capabilities of EASE. If you're one of them, please do give us a call at 877-761-1458. Or you can email us at info@abilitynetwork.com. We really do look forward to hearing from you. Our team really enjoys talking with those of you who are looking for ways to improve. We feel similar to how Terry told us he feels about working in this industry. Terry: Before this, being an accountant and coming into healthcare was brand new to me 11 years ago when I came here and so I wasn't sure what I was getting into but, I'm so happy that I did because I really like it. I love the people that we serve and it makes it really a pleasure to come to work every day. Sarah: We hope that we can make work even more enjoyable for you by helping you tackle some of the challenges that we've covered on this webinar. Thank you for doing this webinar with us today and we hope you have a great day.